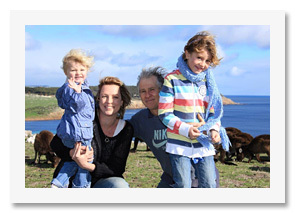 Paul’s Place is a family run business by Paul and Katja on Kangaroo Island (South Australia). Paul was born on the farm at ‘Paul’s Place’ in 1947. He started rescuing any creature which needed help from the age of 5. His mum would try to help him raise orphan joeys which at that time was a heartbreaking task. 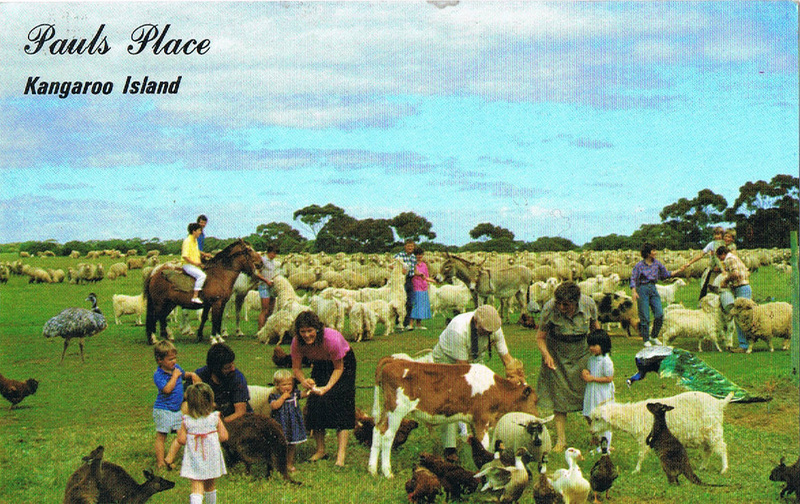 Specialized milk formulas were only developed about 35 years ago so most Joeys were lost until then. 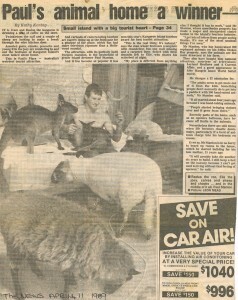 Paul opened the animal enclosures to the public when he was 23 years old as more people ‘popped by’ to see his menagerie. Paul’s mum passed away when he was 16 years old. Dean, Paul’s father, continues to live with him until he remarried and left, as he calls it ‘the chaos of birds pooping in his coffee everyday’. 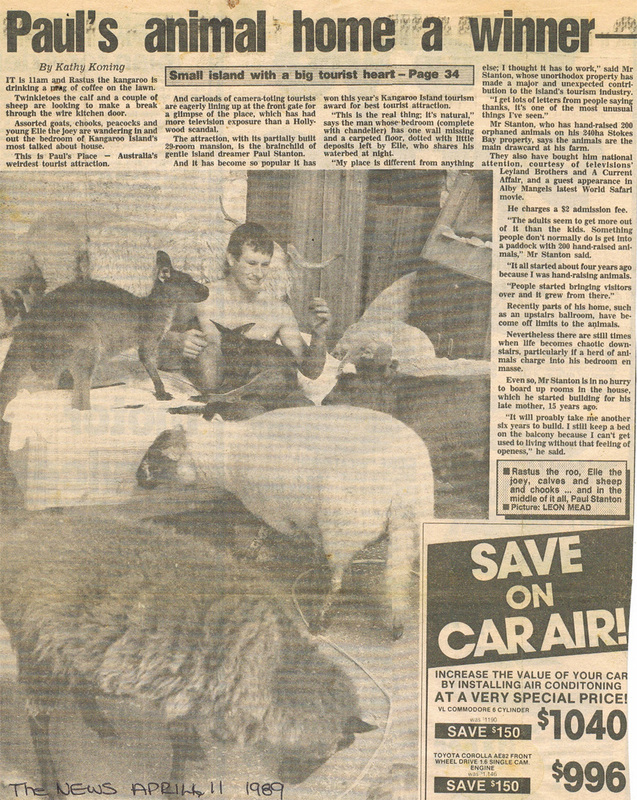 Back then Paul’s Place did not have so many animals so the house was on tour, which is not complete 30 years later. 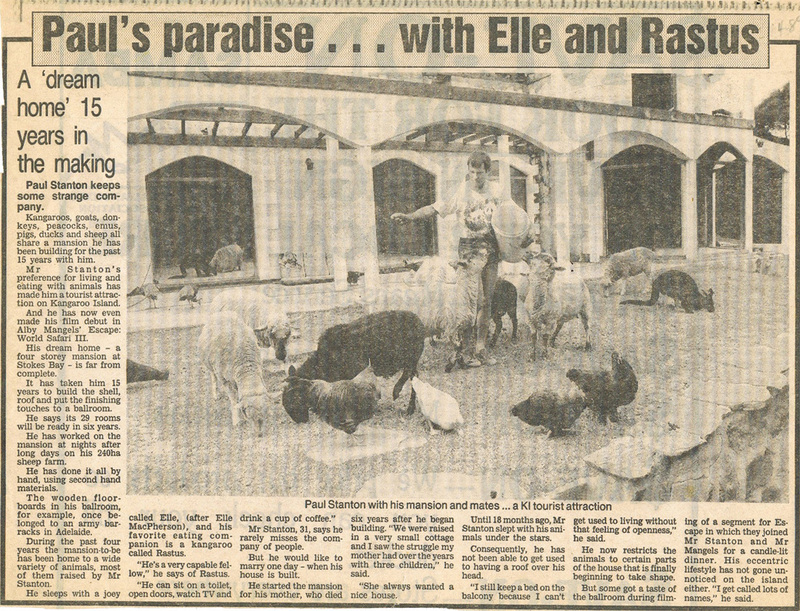 Read here some great articles about Paul’s Place placed in newspapers. Click on them to enlarge the articles. to Floris & Esther. We met Floris 5 years ago as a volunteer and he has returned in November 2013 to make this beautiful website – according to them our 15 year old site was unacceptable. Thank you Dutchies!